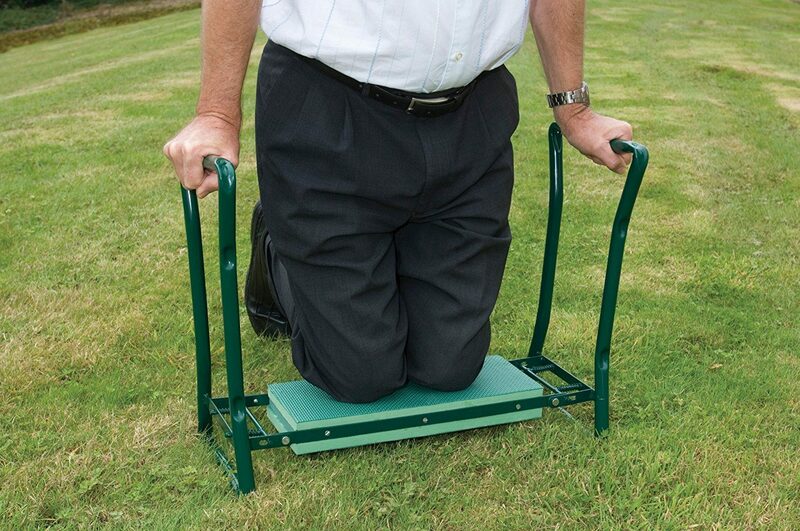 Priced at a tad over £15, this kneeler seat gets very strong and positive reviews by UK buyers. Many people buy their parents this particular model. I think it makes a really useful gardening gift. It will certainly help anyone suffering from joint issues, or anyone with restricted mobility issues. It will certainly make getting up and down a lot more pain free, when doing any planting or weeding. Like many of these kneelers, these are all about making certain gardening tasks a lot less painful. If you have ever spent time doing some planting or weeding a garden, then you know it can get sore on the legs and back. In particular, the knee joints can get stiff and sore, when in the kneeling position for a long period of time. Sadly, as we age, this gets more painful. Getting up and down from a kneeling position becomes particularly difficult. That is where this type of product becomes very useful. First of all it is a seat, and that alone is useful to take a short break. It is also handy to sit on and use to perhaps do something like label plants. When you then need to get the spade or fork into the ground, you simply flip it over, and use it as a padded kneeler. 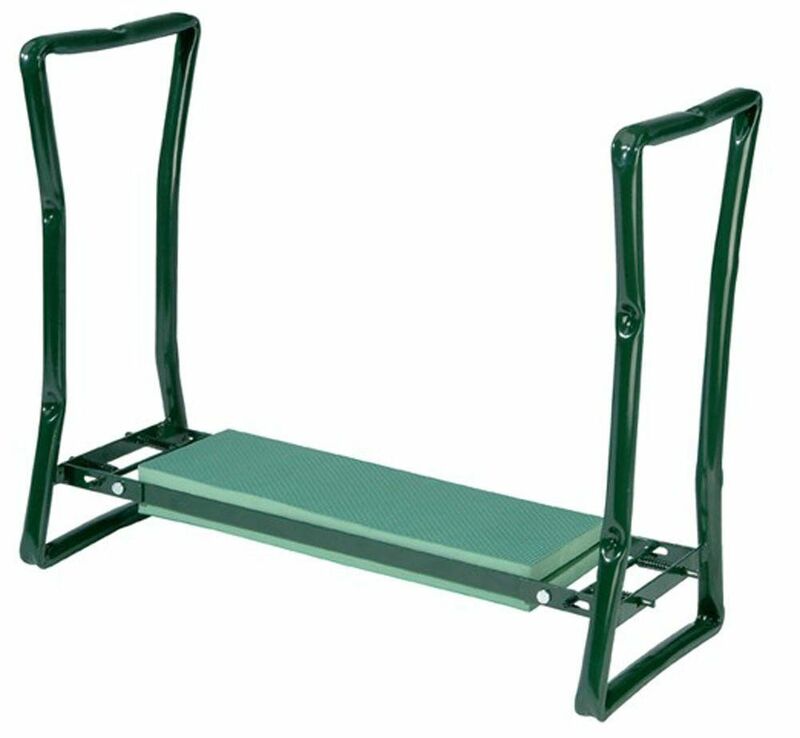 That protects the knees from being on the hard ground. It also helps keep the knee area, and your clothes, dry and protected. The handles that you can pull yourself up on are very strong. 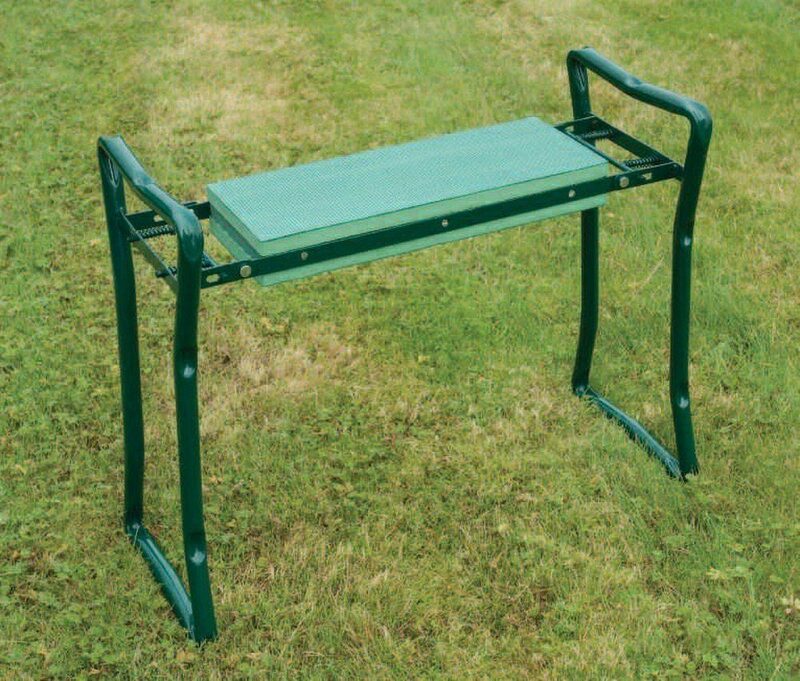 For just a little over £15, this is a high quality kneeler that has attracted an overall 96% satisfaction rating. 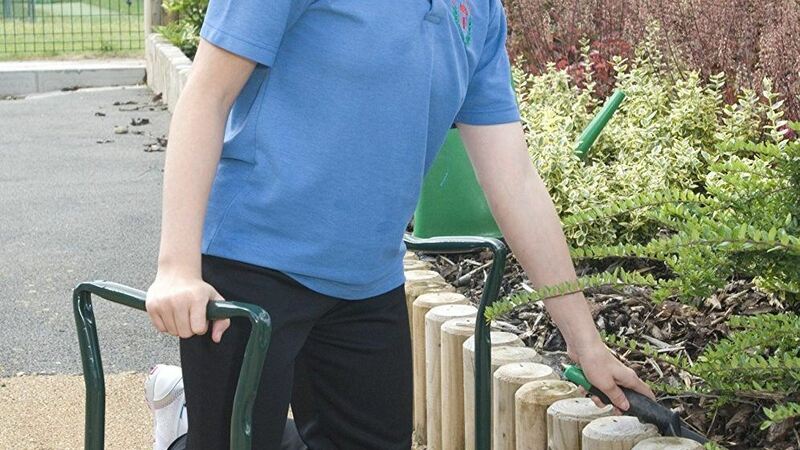 This one is bought mainly to help older people who enjoy working in their gardens.